This week, VMware upgraded its main product line VMware Infrastructure 3, to deliver IT infrastructure as a service internally. 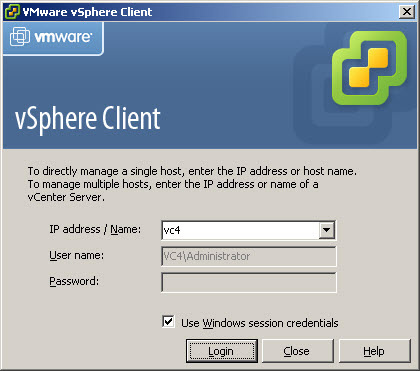 vSphere was foreshadowed with the announcement of VDC-OS (Virtual Data Center Operating System) last Summer at the Las Vegas VMworld Conference, as I wrote about here. Virtualization is a disruptive technology of sorts, in that it breaks the “hard link” between hardware and software, or more specifically between the Operating System and hardware. A VMware virtual machine (VM) can create an OS that is essentially hardware vendor independent — as long as it runs on x86 processors — and encapsulate it to run on any number of platforms. Indeed multiple OS instantiations can run on a single physical server. The impact of this is phenomenal: it can undermine the value proposition of an “integrated” solution from some server vendors. In this way, it can reduce capital and operating expenditures, even as information explodes. 8000 DB transactions per second per virtual machine. Can you say OLTP? Ability to control an entire virtual data center from a single pane of glass. VMware calls this the ability to “holistically manage” infrastructure elements. Storage VMotion permits moving the VM from where it lives — on the storage — to other kinds of storage as needs require. This would allow migrating for example, from expensive Fibre Channel disk drives to less expensive SAS drives, or even changing storage protocols. Fault Tolerance permits a “ghost” version of a VM to run on another physical server, in “lock step” but invisibly, such that should the original VM or server fail, the fault tolerant version will immediately become available on the second server.